The New South Wales Government has released the detailed design for Western harbour Tunnel and Beaches Link for further community consultation. Over the next four years, the state government has allocated a total $556.2 million for the program. 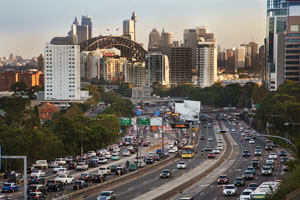 The Western Harbour Tunnel will create a western bypass of the Sydney CBD and take pressure off the Sydney Harbour Bridge, Anzac Bridge and Western Distributor. The Beaches Link will provide a motorway link between the Northern Beaches and the rest of Sydney. Premier Gladys Berejiklian said since announcing a preferred route last year, the NSW Government has taken on community feedback and improved the locations for the ventilation outlets, reduced the number of properties to be acquired to 37 and sought to minimise construction impacts. “We know the Western Harbour Tunnel and Beaches Link are important projects that will benefit the wider road network,” Ms. Berejiklian said. The detailed design for the project will now be subject to community consultation until November, with feedback to be taken on board to refine the design, ahead of the planning assessment phase. Subject to planning approvals and finalised financing and procurement, major construction is due to begin in 2020 with the tunnels expected to open to traffic by 2026.